The heads-up battle for the title of PokerStars.net $15,000 APPT Macau High Roller champion will be played between Australia’s Eric Assadourian and Bo Sehlstedt of Sweden. Assadourian, who’ll be playing on home turf when the APPT Grand Final kicks-off in Sydney on December 12, holds a big chip lead (772,000 to Sehlstedt’s 181,000). As the dominant player at the final table, it’s hard to see the Aussie being toppled but Sehlstedt has played a rock solid game and will have the poker-mad Scandinavian nation cheering him on from afar. The spoils: a $US$368,640 payday for the winner against $US184,320 for runner-up. Button: Assadourian (seat 6) – Assadourian pops it up to 30,000, Steicke adds an extra 30,000, Assadourian says “I’m all-in” and Steicke calls. The race is As Jd for Assadourian against Steicke’s Ah 9h. The flop is bad for Steicke (4d Jc 7d) but the 8h gives him an inside straight draw. However, his tournament ends when the Jh lands on the river. A great performance by David Paul Steicke, who only rekindled his interest in poker thanks to the APPT’s arrival in Asia. He played in the APPT Seoul main event, and has stamped himself as a quality player with third in this $15,000 APPT Macau High Roller event. Button: Sehlstedt (seat 4) – It’s a battle of the blinds, but it ends quickly when Steicke sniffs at the pot after a flop of 4s As Kh. Button: Steicke (seat 8) – Assadourian gets no action in the big blind, and shows two black aces (“I never get a hand,” he says). Button: dead – Sehlstedt gets a walk in the big blind. Button: Assadourian (seat 6) – Assadourian raises to 35,000, Ng is all-in for 16,000 and shows 6d 5s against the Australian’s Ad Kh. Can Tony snag some sixes again? Well, there’s a 5h on the flop (with 10c 9s), but the turn is a Kd and river a 3h. The Hong Kong native is off to the rail, but not before adding his mark on the final table (he should be good value on the TV coverage). Button: Sehlstedt (seat 4) – Steicke raises the minimum, Ng calls the extra 10,000 and we see a flop of Jd 10d Qc. Ng checks, Steicke bets 30,000, Ng goes all-in and Steicke insta-calls. Ng shows Qd 10c for two-pair, but Steicke has Ah Kd for the nut straight. The turn is Jh and the river 9s. 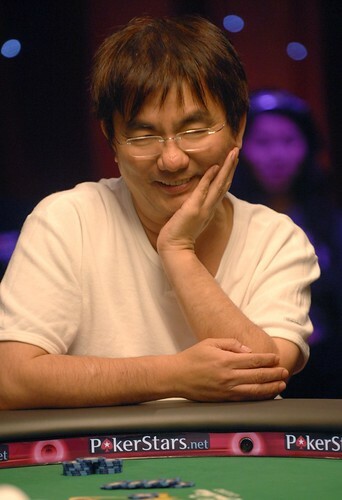 Steicke doubles up through Tony Ng, who has just 17,000 in chips left. 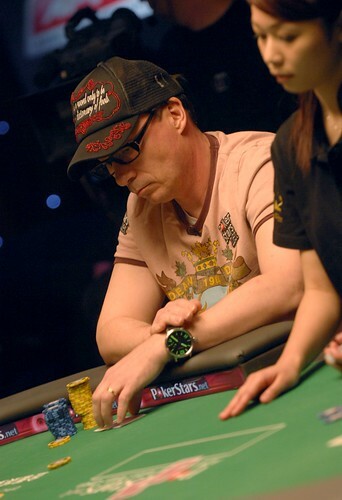 Button: Steicke (seat 8) – Sehlstedt makes it 25,000 to go, and all the other cards go into the muck. 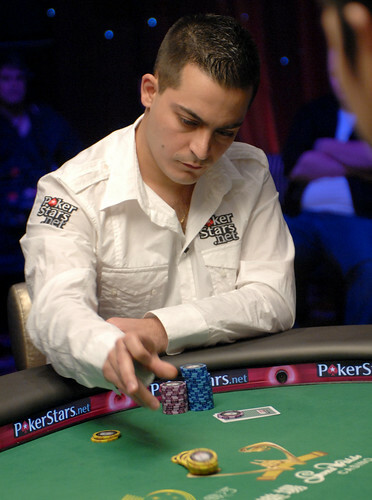 Button: Ng (seat 7) – Assadourian pops it to 30,000, and takes the pot. Button: Assadourian (seat 6) – Sehlstedt picks up 19,000 in blinds and antes with a pre-flop bet of 25,000. Button: Sehlstedt (seat 4) – The blinds are in action (Assadourian and Ng) along with Sehlstedt, and the three players check the flop of Qd Jc Qc. The turn is 6c, Sehlstedt bets 16,000 and scoops the pot. Blinds are now at 5000/10,000 with a 100 ante. This page contains a single entry by Brad "Otis" Willis published on November 27, 2007 2:57 PM. APPT Macau 2007 High Roller Event: Hands 79 - 92 was the previous entry in this blog. APPT Macau 2007 High Roller Event: Hands 103 - 115 is the next entry in this blog.